Reunion update! Just one week left at the $30 price - time's a wastin' folks. We know, we know -- everyone is busy, and some of us (I plead guilty!) just procrastinate. But five bucks is five bucks, so if you can, get your payments in by Aug. 31. After that date the cost is $35. If you want, you can also get your payment to me via the Venmo app - easy to download from your android Play Store or Apple App store. Find me at @Mark_Oldfield, and I'll get the simoleons to Sharon. Here's a list of who's coming so far! Five years ago, we had quite a few show up at the door, which is great, just makes it a tad chancy on the food/beverage planning front. So if you're coming for sure, let us know ASAP! Does this sound like the class of '78? Of course it does! Enjoy a casual evening with good friends, sharing memories and making new ones. The Blue Moon Art Gallery is a friendly, comfortable venue showcasing local artists in a unique indoor/outdoor setting. There will be plenty of casual appetizers, beverages including wine and beer, and live music. All-inclusive cost: $30 per person if paid by September 1. $35 per person after September 1. Still not sure about coming? Well, here's a little inspiration, thanks to the archives of John Rappold: http://encinapics.com . We sure hope you plan to join us for a night of great fun and memories. Got questions? Contact us at Encina1978@aol.com , or call Sharon Bordisso Patten at 916.684.4958 or Mark Oldfield at 916.396.6267.
we'd love to have them join in the fun too. Also, if you plan to play golf on Friday, let us know ASAP because we have to confirm the number of tee times we need a week in advance or risk not having enough space for everyone. Don't delay any longer, it looks to be a weekend of sharing memories and making some more.We have heard from many of you that you will be attending, please get your checks in the mail so we can give an accurate count to the Sutter Club...October 4 will be here in less than three weeks! Details below! Have a great day! reunion events October 3, 4, and 5! Don't wait -- time to get on the list! of appetizers, main courses, a carving station and wonderful desserts. is pre-paid as part of your reunion package. 11:00 a.m. BYO your family, food and memories. The grill will be hot! coming, and whether they'll need to hire security! We are looking forward to a really great time, and to seeing all of you! Below is a list of former classmates for whom we have no contact information, and may thus be unable to give them the opportunity to participate in the upcoming 30-year-reunion festivities. Rather than put their senior portraits on milk cartons, we figured some of you might know of their whereabouts and could invite them to join the Yahoo! group e-mail list, or if they'd prefer, they could send their contact information to the reunion committee e-mail at Encina1978@aol.com. Commons Golf Course. No need to be a pro -- come for the golf or just the party! dinner, no-host bar. The finest reunion setting we've ever had! Sun., 9/21/03, 11 a.m., Ancil Hoffman Park. BYO family, food & drinks. The grill will be hot! Look for the Encina sign. This isn't a homework assignment, so don't procrastinate! 5618 Sickle Court, Elk Grove, CA, 95758.
to attend. Except as noted above, sponsorship does not include admission. Members of the reunion committee have already donated more than $500 in sponsorships and services. To join in reunion sponsorship, send your check to: Sharon Bordisso-Patten, 5618 Sickle Court, Elk Grove, CA 95758. For more info, contact Sharon at (916) 684-4958 or Jack Ingram at (916) 308-6331. Our Apache mascot may not be politically correct, but he's correct about one thing: You won't want to miss this reunion. More details on the way in May! The 1978 Class Directory lists contact information for your classmates. Please submit your contact information. 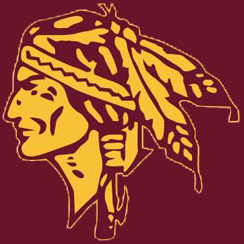 I have posted pictures from the Encina high school days (I plan to add more as I find them, and the time). I have also posted scans of some the Encina Asylums, as well as some other documents that I apparently squirreled away long ago. They can be viewed on my personal web site photogallery found at http://photogallery.rappold.us. I have many hundreds of pictures from the Encina years, and hope to scan/post them all as time permits. The photogallery site requires basic registration to view full-size images. But it is worth it. Some of the scans are very large (file size also) so best to have a more then dial-up web access speed. Panama Canal is turned over to Panama. California voters approve Prop 13, slashing property tax. First Polish pope, Pope John Paul II, appointed. Jim Jones' followers commit mass suicide in Jonestown, Guyana. Academy Awards, Best Picture - "The Deer Hunter"
Barry Thomas Wisdom, born on June 8, 1960 in Sacramento to John and Maria Wisdom. Died Sept. 3, 2016 from a gastric hemorrhage. Survived by sister Candace Donovan, Calgary, Canada. He captured life through photography. A world traveler and writer, he most recently photographed performing arts in the Sacramento region, including ballet, B Street Theater, community theaters and companies, colleges and high schools. A memorial will be held at 6 PM, October 2, at The Sacramento Theater Co., 1419 H Street, Sacramento. As Barry often referred to his dog Bonny as "the dog who rescued me," donations in his memory can be made to the Sacramento County Animal Shelter. http://www.acr.saccounty.net . Published in The Sacramento Bee on Sept. 28, 2016. Unexpectedly and peacefully passed in his sleep leaving behind sons Danny and Dylon Rutledge. Loving and caring friends he left behind will be invited to Aunt Mollie and Uncle Amo's home to share stories, (date to be decided). If tears could build a stairway and memories a lane, I'd walk right up to heaven and bring you home again. Our loving husband and father, Kelton Lee Larsen, passed away Thursday April 18, 2013, at his home after suffering with a severe illness. Kelton was born Aug. 11, 1960, in Sacramento, Calif., to Donald and Geniel Larsen. He was blessed with two brothers, Kyle (Joni) and Brad (Irene); as well as three sisters, Camille (Brian), Dawnelle (Jeff) and Kelsey. He met Lisa Gallacher at a church dance in Sacramento, Calif., while flipping his hair back and chewing his gum (his signature move), and they were later married in the LDS Oakland Temple on Oct. 8, 1983. After a brief stay in California, Kelton, Lisa and the boys moved to Lehi, Utah, where they spent 10 wonderful years. There they were blessed with two beautiful daughters. Following their stay in Lehi, they moved to Preston in 2002 and have called it home ever since. This October they would be celebrating their 30th anniversary. He was blessed to have four wonderful children, Brandt (Chantel), Kurt, Jessica, and Karlee who will miss him dearly. Kelton had a strong testimony of the Savior which helped him throughout his life. He earned his Eagle Scout and served a mission in London, England/South Carolina where he was able to touch many lives. Kelton's love for this great country helped him to influence others of what true freedom meant and he strived to make it a better place. His passion to serve the Savior and love others will live on through his kids, who he taught the ways of righteousness. Everyone who knew Kelton, knew of his passion for the outdoors. Some favorite memories of him from family and friends were hunting and fishing trips and stories around the campfire. He was always the first to pull the trigger on a big muley. Kelton was a very successful business man. He started a heating and air conditioning business from a very young age. Through his business, he was able to change the lives of a number of people along the way. Kelton influenced the lives of many, and his influence will continue to be felt. He will be remembered for his energetic personality and his ability to make friends, as well as influence others' lives for good. His sense of humor and charisma was something to behold, as he made friends wherever he went. We invite all who have felt the wonderful influence of this great man to come celebrate his life with us April 27, 2013, at the Franklin Idaho Stake Center, 106 E. Main St. A viewing in remembrance of Kelton will be at 9:30 a.m. followed by the funeral service at 11:30 a.m. Kelton will be laid to rest in the Mapleton Cemetery. We wish to thank everyone who was so kind to our father and to our family. We appreciate all of your support and we love you. Donations can be sent to the LDS Church Missionary Fund. Memories and condolences may be shared with the family at www.webbmortuary.com. Russell was survived by his wife Shannon. Also survived by parents Nick and Lee Johnston, sister Candie (Tony) Redding and nephews Dan and Leo Roberts, and Joe Anderson. Russ loved life and lived it to the fullest. His personality was brilliant and everyone he met was his friend. Always the entertainer, Russ was involved in local theater. Any party thrown by he and Shanni, was sure to be infused with music, humor, and fun. He is greatly missed by his family. Preceded in death by her husband, Russell. Survived by her parents Shirley and Arlee Sievertson, Nick and Lee Johnston, Candie (Tony) Redding, nephews Dan and Leo Roberts and Joey Anderson. Above all, Shanni loved her husband Russ and her family. She loved to cook and entertain. She was warm and loving with a dazzling personality. A Remembrance Celebration for Russ and Shanni will be held on Sunday July 7 at 10am at William B. Pond Recreation Area, 5700 Arden Way, Carmichael, CA. Email russandshanni@ yahoo.com for details, remembrances or further directions. Cards and Flowers may be sent to the Johnston Family c/o Candie Redding, 7588 Community Dr., Citrus Heights, CA. 95610. Patrick, born in Palo Alto, at the age of 54 crossed over peacefully after a courageous battle with cancer in his Carmichael home on March 22, 2013 surrounded by his family. Patrick is survived by his loving wife Nancy, his faithful dog Charlie and loyal cat Shasta, his devoted parents J. Patrick and Elizabeth O'Neill, sisters Kathleen O'Neill Cabe and Kathryn (Katie) Gavira-O'Neill (Humberto), mother-in-law Arlene McElligott, sisters-in-law Terri Martinez (Sal) and Patti Sanchez (Steve), brother-in-law Joe McElligott (Lorie), numerous nieces and nephews, and large extended family. Patrick attended Encina High School and graduated from the University of Pacific School of Pharmacy 1984 (B.S) 1985 (Pharm.D.). He was a member of the Phi Delta Chi Fraternity. He met Nancy McElligott in 1982 and they were married on March 22, 1986. In the early years of his career, Patrick and Nancy owned and operated pharmacies in Stockton, CA. Upon returning back to the Sacramento area, Patrick took a position at Pucci's Leader Pharmacy in Sacramento where he thrived as a pharmacist for over 18 years. Patrick had a beautiful smile, and an easygoing disposition that put everyone at ease. He was a pharmacist who truly enjoyed helping people. His professional skills as a volunteer were greatly appreciated by the many people he helped at the Hart Senior Center. Patrick was an avid outdoorsman. He loved hiking, photographing and fly fishing in the Sierras and the American River Parkway. He enjoyed bicycling, often reminiscing about his bike trip from Canada to San Francisco. He loved gardening and hanging out with his wife and friends in his own park-like backyard. Where there was nature, there was Patrick. Patrick will be greatly missed but never forgotten. We will always remember his big, beautiful smile, twinkle in his eye, his laugh, his kindness, and the joy he brought to us all. A memorial celebration of Patrick's life will be held on Saturday April 27, 2013 from 2 to 4p.m. at the Effie Yeaw Nature Center in Carmichael. The public is invited to attend. For directions please visit www.sacnaturecenter.net/home.btml. The family prefers any remembrances be made to American River Parkway Foundation or at www.dviccares.org in Patrick's name. Published in The Sacramento Bee on April 7, 2013. The way Joany Titherington tells it, her Oak Park Neighborhood Association is a tough crowd: Members are diverse and outspoken, demanding honest answers to hard questions. It can be a tricky audience for police. But Sam Somers Jr., then a captain overseeing Sacramento's southern command, handled the task with grace, Titherington said. "We don't ... let folks off easily here, but he did a fantastic job," said Titherington, who worked with Somers from 2004 to 2006. "It wasn't just placating the community. We created some real solutions." Now that Somers is Sacramento's chief of police, Titherington said she expects him to show the same sensitivity and deftness in addressing the varied needs of a growing city and its people. Those skills are likely to be key as theSacramento Police Department enters a new phase of growth after years of sharp cuts. In 2008, the agency reached a peak staffing level of about 800 officers; it has since shed more than 150 officers and $40 million. An infusion of cash from the voter-approved Measure U sales-tax increase will help reverse that trend. The department will reap enough money to hire as many as 120 to 150 new recruits - though they won't all be on the streets until the end of 2014. In rebuilding the department, Somers will be expected to address the latest crime trends and the demands of residents eager for results: Violent and property crimes rose last year for the first time in six years. "It is a tough position because people want it turned around real quick, and it takes time to hire," Somers said. "It's about patience. In the meantime, we need to just make sure we're vigilant with what we're doing." At 50, Somers is a 29-year veteran of the department and a Sacramento native. Raised in the Northgate neighborhood, he graduated from Encina High and Sacramento State before graduate studies at CSU Long Beach. Like his predecessor, Rick Braziel, Somers is part of a family legacy: His father, Sam Somers Sr., retired in 1992 as a captain after 30 years with the department. Somers spent his childhood wandering in and out of police stations, riding with his father or listening to the police radio when the elder Somers came home for dinner. There is a pattern of public service in the family. One uncle served in the military, another as a Stockton firefighter. His sister works for the Sacramento Fire Department. "Maybe it's just in the DNA," he said. But Somers said he didn't seriously consider a career in law enforcement until he was a college student and went on his first ride-along with an officer who wasn't his father. His interest was cemented after he took a job as a community service officer in 1984. "You kind of catch the bug," he said. In his career, Somers has served in every major division of the department. When Braziel retired in December, Somers was the longest-serving deputy chief, overseeing patrol and dispatch operations. Three other colleagues also applied for the top post: Deputy Chiefs Brian Louie and Dana Matthes and Capt. Jim Maccoun. Several community members involved in the selection process said all the candidates were regarded as capable of doing the job. But in announcing Somers' appointment in February, City Manager John Shirey said Somers had qualities beyond his résumé. "Not only does Sam have the breadth and depth of experience, he's got the mettle for the job," Shirey said. Those who know Somers describe him as direct, a straight shooter. "I would say he's decisive," said Dustin Smith, president of the Sacramento Police Officers Association. Smith said Somers has been regarded as fair and thoughtful with disciplinary issues, and that he encourages innovation. As a whole, union members are pleased with the choice, he said. "I believe he's very approachable," Smith said. "Most of the officers feel they can bring any ideas or concerns or projects to him." Also like Braziel, Somers remains a dues-paying member of the POA, though the union doesn't represent command staff. He described the choice as symbolic. "I put on the same uniform that my officers do," he said. "I may not get any benefits out of it, but ... I'm letting them know I'm still an officer at heart." Observers agree that Somers is not expected to be a huge departure from Braziel. After all, Somers was closely involved in much of the decision-making during his predecessor's term. "I would be surprised if he were looking for major changes," Smith said. Unlike Braziel, Somers is starting his tenure with the promise of expansion, though he has emphasized that the department must continue to be lean and efficient. That conservative tone struck a chord with Luis Sumpter, president of the Alkali & Mansion Flats Historic Neighborhood Association board. Sumpter served on a community panel during the candidate review process. "He has a strong desire to restore services, but it's not back to business as usual," Sumpter said. "They want to be creative with how they restore services ... so there's still an understanding of how to control spending." The first Police Academy class paid for by Measure U revenue won't start until summer, so Somers hasn't yet begun restoring services previously cut. But he has indicated a few plans, including beefing up patrol ranks and bringing back motorcycle units, which provide traffic enforcement as well as added visibility on the streets. Above all else, Somers said, his goal as chief is to make Sacramento a safer place. "How do I make it a better place to live?" he asked. "What difference can I make?" Somers said years of budget cuts have hamstrung his agency's ability to respond to the uptick in crime. Nevertheless, he said, that can't be an excuse for not acting. One of Somers' most notable visions expressed to date involves incorporating the "problem-oriented policing" philosophy into patrol. "POP" officers, though popular, are expensive and often among the first on the chopping block for cash-strapped law enforcement agencies. Sacramento cut its POP program years ago, and Somers has no immediate plans to restore it. But he said he hopes to reintegrate that idea into patrol by adding resources to free up officers for community-building efforts, such as attending neighborhood association meetings. And every watch commander is now being assigned two patrol beats on which they are expected to be experts. Somers calls the model "geographic" policing, and envisions it as a way to better connect individual officers with their communities. "They're like a little mini chief in a particular area, where they're going to have some accountability and responsibility," he said. Somers also is working on a new program called "Cops and Clergy," a combined enforcement and intervention effort that partners police with the city's faith-based leaders. Somers said an overarching goal is building community relationships, including those with minority populations. "The bottom line is trust," Somers said, "and getting that opportunity to demonstrate that ... our officers are here to protect and serve, not just to arrest and incarcerate." He also hopes the program will help the department diversify its force. Lack of minority representation on the force is not a new issue. But the city manager has made it clear that increasing diversity is one of his main expectations of Somers. Almost three-fourths of the police force is white, according to recent statistics. By contrast, whites make up just 32 percent of the city's population, census data show. Somers said it ultimately comes down to bringing in more minority applicants. That means building relationships, a challenge that will require time, he said. "Some of my initiatives are long term; this is one of them," Somers said. Titherington, the Oak Park activist, said Somers' desire to engage the community came through in his time dealing with her neighborhood and, more recently, in the interview process. "We can't be silos any more," she said. "Without the community and other organizations around us working in concert with one another, it's really difficult to problem-solve." And, for old times' sake, Titherington invited Somers back to an Oak Park Neighborhood Association meeting. Call The Bee's Kim Minugh, (916) 321-1038. Siblings: Debbie-passed, Jimmy-passed, Steve-kickin, Susie-kickin, bil- kicking. Norris William "J.R." Jenkins, August 13th, 1960 - Sept 23rd, 2010. Beloved son of Norris and Octavia Jenkins. A Sacramento native, his first venture into the world was as a submariner in the U.S. Navy. He had many jobs but his true talent and passion was training and racing thoroughbred horses like his father. He was most fond of his daughter Sharee, who is a kindred spirit and his closest friend. He is survived by his four brothers: Bill, John Henry, Rick & Robert; two sisters: Sharon & Candace; and the rest of his loving family that will remember him as a kindhearted, funny, and generous man. He will be greatly missed by all who loved him. God bless. Services will be held at Valley Springs church, 2401 olympus drive, Rocklin, CA 95678. Services October 1 2010 1:00 p.m. Passed away on August 5, 1999 at the age of 40 from Leukemia. Born in Carson City Nevada. Raised in south Lake Tahoe and Florida before moving to Sacramento. He never married. He leaves behind his mother, two brothers and one sister. David had a wide assortment of hobbies. He loved music, drawing, fishing, gardening, and watching western and war movies. One of his most treasured traits was his decency. He moved in with his mother to care for her when her blindess overwhlemed her. Sadly she buried him before she passed away herself four years later. His father passed away in 1987. Chris Dusza 79. HUMPHREYS. In Carmichael, November 25, 1974. Sam Humphreys. Beloved son of Robert and Melvina Humphreys of Sacramento. Brother of Sharon Daugherty of San Jose, Les Humphreys of Cuppertino, and Bobbie Humphreys of San Juan Batista. Grandson of Grace Wooten of San Jose. Uncle of Mark Daugherty of San Jose. A native of San Jose. Aged 14 years. Friends are invited to attend the funeral Wednesday at 10:00 AM in The East Lawn Sierra Hills Chapel, 6700 Verner Avenue. Interment East Lawn Sierra Hills Memorial Park. Bio: Went to CSUS, raised 3 kids, working in the homebuilding industry, travel, spending time with friends. Trivia: Lots of trivia. Don't know if it's terriby interesting. Friends: Suzy Waldo, Jackie Ferguson, lost contact with Annamarie Puccinelli. Oldest is an attorney, middle child in PR in SF, youngest a student. Grade_school: Caleb Greenwood in River Park. Memorable_teachers: I actually liked most of the teachers I had, believe it or not. Favorite_memory: Swimming on the team--even though we didn't win much. Scott died accidentally on Thursday, March 27, 2008, at age 47. He is survived by his daughter Jennie Cooley and her husband Josh, his grandson Dyllan, his parents Robert and Jacqueline Milbrandt, his sister and brother-in-law Ardean and Stephen Baggs and nieces Alaina and Siara. Scott is also survived by many extended family members and loved ones and will be dearly missed. Scott was a resident of the Sacramento area most of his life, and he attended Encina High School. The family invites his friends to join them for a memorial service on Thursday, April 3, at 12:00 Noon at the LDS Building at 5242 Garfield Avenue, Carmichael (corner of Garfield & Locust). Interment will be private. Published in the Sacramento Bee on 4/1/2008. Published in the Sacramento Bee on 4/29/2007. Passed away unexpectedly Aug 22, 2003 at age 43. Son of Lee and Sue Ann Lehmkuhl, he was born in Honolulu, HI and lived in Novato before moving to Sacramento where he graduated from Encina High School in 1978. In 1986 he married Elizabeth Grassi and they later divorced. His last place of work was at Entex Technical Services. He is survived by his mother, Sue Ann Lehmkuhl of Sacramento, his sister Dana, brother-in-law Scott and niece Courtney Pomeroy all of Truckee, and his long- time significant other, Leslie Roach. A Memorial Service in celebration of his life will be held on Saturday, September 6, 2003 at 1:00PM in the chapel of Fremont Presbyterian Church with a reception to follow. In lieu of flowers, remembrances may be sent to the charity of your choice. Arrangements in care of Lind Brothers Mortuary, 916-482-8080. Bio: I've been working since graduation from high school. First I went to American River J.C. for a year. Then I spent some time in the Navy. I followed that up with a couple of works at Yolo County Department of Social Services. Then, 19 years at the University of California, Davis. I "semi-retired", moved to Stanislaus County, and found a job that pays more and requires less work! Hobbies: Running, mountain bike riding, and, my kids. School. My stepkids are Devin, he's 22 and just graduated from Chico State with a degree in psychology. And, Samantha, she's 18 and attends college in Modesto. Memorable_teachers: Will Stephens. He was an awesome track coach! Born August 21, 1960. Entered into the light on February 13, 2002, after a long illness and at the age of 41. A lifelong resident of Sacramento, Vince was an employee of Standard Office Systems for a number of years before his illness. He is survived by his cherished son, Shea Hall, his mother, Camille Hall, father, Ron Hall, sister, Connie Hall Martin, brother-in-law, Bill Martin, his much loved nieces and nephews, Cayla Martin, Christian Martin and Beau Bixler. He will be greatly missed by all his friends and family, including his aunt, Darlene Hunter, cousin Gayle Dye and his best friend, Melanie Asadoor. Vince will be remembered fondly by all those who knew him for his quick wit, contagious smile and incredible sense of humor. His playful attitude and jovial nature will keep him young in our hearts forever. At his request, funeral services were private. Published in the Sacramento Bee from 3/1/2002 - 3/3/2002. My brother Douglas Gillott, M.D. is one of the featured obstetricians in the Discovery Health Channel's "Babies: Special Delivery" Series, the "Fragile Lives" episode. This episode was filmed at the Palm Springs Desert Regional Hospital. The stories of two of Doug's patients and their babies were followed and during the show we got to see him in action performing two high-risk caesarean sections. I have to admit that I was pretty impressed with my little brother. Occupation: What don't I do? Business Manager for my husbands practice, Homeschool my youngest son, Soloist and raise funds for the Sacramento Life Center. Favorite_memory: My favorite times were in Choir. I loved to sing. I can remember standing there while we were singing and being transported by the sound. I still feel that way about performing. There were many wonderful moments, but for the most part, high school was painful for me. I loved the people I let into my life, but I was thankful when it was over. I'd probably have a much better time now. Although I still wouldn't be able to play basketball. Story: I liked Mr. Summers. Biology and food. I won't go any further. It was disgusting. Mrs. Taikuchi ??? English X Great teacher, loved poetry. Trivia: I have learned to ride motorcycles, I have gone to Mexico twice, have run 4 home base businesses for the last 7 years, raised 3 sober young men, I have learned a lot about death-life- and living in the last 8 years with 7 very important people in life passing on, and have been studying for Ministry for the last year. I am presently the Drama Productions Director for my church. Hobbies: Gymnastics was is and always will be my passion...backpacking...Motorcycle riding and repair...house plants...DOGS...I played my cello in the 1998 Messiah..ok I was 5th chair...but there was only 5 of us...I Did Play Though! Kids: Patrick has been playing lead, rhythm and bass guitar in bands since he was 14...his bands have won 4 local battle of the bands...Craig went to school at his father's house last year and was on a team that built the winning solar/electric car in the all Hawaii State High School Race...Alan is in College classes and is working on scholarships to Medical or Law school...all 3 have been academic wizards...both Patrick and Alan have achieved the Presidential Academic Achievement Awards....Alan has graduated TV/Modeling School and has been invited to audition for TV shorts. Bio: After graduating from Encina, I attended UCDavis where, in 1982, I received a degree in Political Science-Public Service with an emphasis in Environmental Issues. I worked for the California Air Resources Board while attending Davis, but chose to head for Tahoe for a season after graduation. I worked at Northstar-at-Tahoe for a season, had a great time, then headed for San Francisco where I worked for Merrill Lynch. I then wondered what I was doing working in the finance industry with a degree in political science/environmental issues. So, I then returned to UCDavis for graduate school and again worked for the Air Resources Board. I worked for ARB until 10 years ago when I moved to the California Integrated Waste Management Board. All the while I have been working in the ski industry off and on. I just started a job as the recycling coordinator for Nevada County in Nevada City, which for those of you who don't know, isn't in Nevada. My husband and I married 5 years ago whereupon I became a step mom to 2 wonderful kids. Russell (18) is a natural athlete and I've enjoyed introducing him to skiing. Rebecca (13) is tall and beautiful (I can say that without sounding boastful because I am a step mom, right?) and so bright. Two years ago I gave birth to our son Jonathan Pierce Nuffer. I stepped out of the career track awhile ago and then left CalEPA in Sacramento to be closer to home as we've lived in Nevada City for years. I think the events of September 11th have only served to reinforce my decision. Friends: Diane Dougarian Graf, Suzanne Stranford Ambiel, Robyn Whiting Forsman, Karen & Abby Rasmussen, Jack Ingram, Barry Wisdom, Don Nelson, Janie Schott, Vicki Miller, Lissa Miller, Jim Ford, Morri Graf. Diane and I catch up from time to time. Lissa and I had babies at the same time. I've lost touch with everyone else except Robyn and Lissa. I hope to hear from friends I've lost touch with!! Hobbies: I love skiing and live 40 minutes from Sugarbowl. Horseback riding, cooking, entertaining, reading. And I still swim sometimes. There is a masters program here. I've done some coaching as well. Grade_school_friends: Nobody from Pony Express went to Encina that I know of. Junior_high_friends: I don't think anyone from Brannan went to Encina. Memorable_teachers: Dr. Figenshu (sp?) mostly due to Gene Van Horn's "I am here to learn" retort when he didn't know the answer in Physiology, but also because he didn't expect perfection, only that you opened yourself up to learn. Mr. Lawrence for teaching me how to write. Favorite_memory: Going to football games with Diane, Robyn and Suzanne in Diane's family's beast of a car. New Years Eve with same friends plus Rocky. That and a lot of good (as well as grueling) memories of swim team. Story: I swear that almost everytime I ski at Alpine I run into Matt Michaels. How many days a year do you ski Matt??? Bio: seems like all i've been up to is having babys...LOL...stayed employed till age 26 at which time my first daughter (Alyshia) was born December 24, 1986. 2nd daughter (Marissa) born January 16, 1989. 1st son (Joseph) born Feburary 20, 1992. 2nd son (Aaron) born July 19, 1993. 3rd son (Jared) born January 24, 1996. This Fall school year 2001 i have began my 9th year with Greer Elementary School. Hobbies: I love using the internet and learning all i can about computers. I also enjoy playing and hosting online tournament Backgammon and Yachtzee games against other ladder members. 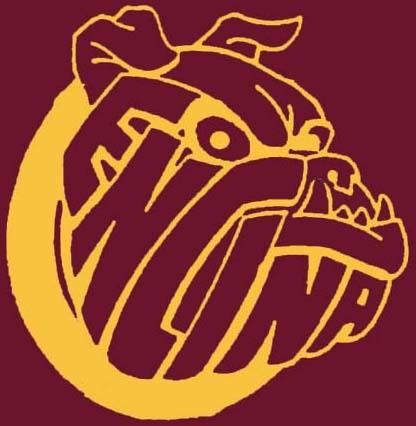 With my last kid in school now i hope to get a bit more involved in Encina High School to support my oldest daughter who as just started this year as a 9th grader. Bio: After graduation I went to college at UC Davis where I earned a BS in Managerial Economics. After college I moved to San Francisco, did a short stint with Macy's as a retail buyer (women's swimwear), until I got into the commercial real estate business in 1984. Married my wife, Nadine, in 1989. We live in Marin County and have 2 little girls. Trivia: I've done a lot of traveling including the Himalayas (Nepal), Bali, Austria, Germany, England, France, Mexico, Costa Rica, Italy and various Caribbean islands. I love exploring the more developing countries and photographing the people and places I visit. Those trips really tend to put everything in perspective. The Nepal trip was really something - highly recommended!! Friends: I still at least know how to find most of my old Encina pals. Greg Albright, Tracey Harper, Jack Ingram, Matt Michael, Lisa Miller, Ernst Posehn, Paul Kneprath were all good friends since Junior High or earlier. Lots of others too. Hobbies: I love to ski whenever I get a chance and enjoy torturing myself playing golf, too. Music is a huge love of mine so I play the guitar and have hundreds of records and CD's. Photography, the outdoors, reading and travel are all passions. Kids: I have two wonderful little girls; Emily age 5 and Elizabeth age 2. They keep me amazed on a daily basis. Grade_school_friends: Greg Albright, Jack Ingram, Matt Michael. Memorable_teachers: I really think I had some great teachers at Encina. Some of my favorites were LaVern "Poncho" Gonzales (Spanish, Film, EBS, Tennis, Mountaineering etc. etc. ), Christine Kojima (Spanish), Jack Dutton (Geometry), John Figensu (Physiology), Ray Botello (Photography) Joe Lawrence (English). There were many others. I guess I liked school! Favorite_memory: I remember staying up all night with Kirt Shearer and Greg Albright editing the Senior Film we shot for the class. The Mexico Trip with the spanish class will never be forgotten. A few late nights a Winchels Donut House come to mind. There were many unmentionable outings and the names have been forgotten to protect the guilty!! Story: I spent lots of time with LaVerne Gonzales at school in various classes. We also did a lot of stuff outside of school hours - making movies, tennis, backpacking, etc. Mr. Gonzales is one of those unique people that has been able to mold his interests into his work and life - not the easiest thing to do. He was a real inspiration to me taught me a lot more than the basic school work. Bio: managing and coaching little league baseball. working part time at arco arena. Bio: Married 18 years as of this writing. Have 2 children Michael - 15 and Katie - 10. Bio: After graduation I left for San Diego and never looked back! Did the Normal: Traveled, Went to school, graduated and then made a good living. I was married once. Got married in 1984 and my divorce will be final in April of 2000! So the year 2000 will be different( I'm single again!). I bought a home in Eastlake. I love the community and the schools. Was PTA president for 6 years. Always very active in my childrens education. I have two beautiful children a son named Aaron Christopher who just turned 14 in Feburary and a daughter that will be 12 in June. What else? I still work dental. I work in a beautiful 6000 square foot state of the art dental practice. I'm very proud of this practice because there's nothing like it. I'm the Southern California Regional Education Coordinator for ExperDent. We put on Continuing education for the general practioners all across Southern California. Everything from technology(air abrasion units & digital radiographs) to implants. So It's a great chance to travel and meet Den-tist all across the state. I'm also a musician for the band "Breezin". We have a web address of: www.brzn.com Check it out sometime. Other than that I'm down in San Diego working and having a great time! Anybody that remembers me please contact me. I was in the band at Encina. I found that music last longer than playing sports and the older you get the better you get. You can't say that with many things! :) Talk to you soon! Friends: I have basically lost all contact. But friends in elementary and high school were( in random order) Dan Edwards, Eric Sadihire, Dave Roberts, Jack Johnson, Ed Sunderman, Bill Baumgart, Dave Jahnson. To name a few. Kids: My son is 14 and very atheletic as well as a good musician. My son plays Pop Warner football,Hockey, Little League and plays a mean saxophone and clairnet. My daughter is also talented. She has been in ballet for about 7 years and does several recitals. My daughter also in in Junior Theater and loves drama. She has done some work at The Old Globe Theatre in Balboa Park. Of course they are both very beautiful and I am very proud of them both. Grade_school_friends: Dan Edwards, Ed Sunderman, Dave Roberts. Jack Johnson, Eric Sadihire, and sorry for who I forgot to mention. It's getting late! Favorite_teachers: Mr Little!!! Taught me the Saxophone and when he died left me a antique music stand in his will. Favorite_memory: All my memories from Encina were good! I'm lucky to have gone to such a good school! Bio: After a few years at CSUS and HSU I graduated from the San Francisco Art Instute and went on to a variety of jobs, including working with computer software at P.G.E., where I met June who worked at computer hardware. The corperate scene wasn't for me and so I apprenticed with a woodworker in Marin Co. I married June, had a girl, and we moved to Napa where I worked as a carpenter and tilesetter. I enjoy gardening and raised an apairy of bees and we had our second, Jasper. He was born after the possoms came to live in our house. We later moved to Sebastopol. (But the opossums had to stay.) In Sonoma, I discovered the natural building movement and sold natural paint and remodeled houses for "environmentally sensitive" clients. Somehow we began reading Rudolph Steiner, (his lectures about bees, or karma and vocation, I think). June completed her training as a Waldorf Teacher and took a job in Vermont. We moved and I soon completed graduate work and got my Waldorf certificate and took on a small group of first graders whom I have been teaching now for six years or so. We have another little girl too, her name is Micaela. Trivia: I spent a season Crabfishing in the North Pacific. Friends: I hung with several crowds. Jack Ingram is my oldest friend. Steve Anderson and I experienced a lot of material for stories we thought we'd save for our children or grandchildren. Richard Mondzak and Carlos White were instrumental friends in exploring the farside of things that started me seeking. Hobbies: Teaching is all consuming. Right now I teachin Physics and being in a classroom with 18 kids in the pitch black with a laser pointer is about the most fun, I think. I am in an acting class. Kids: My children are so different! The genetic theory seems totally wrong. They are individuals moving toward an exciting destiny. Grade_school: Caleb Greenwood, Sierra Oaks. Grade_school_friends: Jack Ingram, Karie Amorena. Favorite_teachers: "Senor" Gonzales was an important role model...I guess I admired the way he followed his interests. We had some exceptional experiences climbing mountains, and traveling in Mexico. I learned we can all do what we want, and I hope my students get the same message. Bio: I finished college, taught for ten year, earned a Master's Degree in Educational Administration and have worked as a high school VP for four years. I am married with two daughters. Friends: Best friends were Tina Fisher, Doug Gillott, and Mike Ling. I still have current addresses for all three. Hobbies: I still enjoy music and theater, both performance and attending. Kids: My girls are great students at Mariemont Elementary school. Both are involved in ballet, piano, scouts, and swim team. Heard_about_website_from: Encina newsletter through district mail. Bio: Spent 14 years as a bartender in numerous places in Sacto. (aquiring an honorary degree in psychology) Attended some college, mostly art classes. I moved to San Francisco in 1993 with my partner of 8 years. We are currently working on finally starting a family. Which I must say is no easy task when you are 39. I spend a lot of time surfing the internet. What a great way to find people and things. I was able to find a long lost friend from grade school on the net. I think what Harlan Lau is doing is great! It's nice to know we can somehow contact people we used to know. Trivia: I participated in the California AIDS Ride 3 years in a row. Two of them riding my bicycle 525 miles to Los Angeles. The last year I decided to help out with the crew. That was harder than riding. I try to volunteer for the Aids foundation whenever possible. I have lost friends and co-workers to the epidemic and encourage everyone to do what they can to help stop this disease so that more families and friends will not have to suffer the loss of a loved one. Friends: my friends were Lyn Haley, Sue Cody, Lisa Green, Sue Trentacosta.. The only one I still have contact with is Lyn...and if anyone knows how to find the others please let me know. Favorite_teachers: Mr. LaMontagne! He was the best teacher ever! His quote to us was " I am going to teach you a little about alot". And he did. I always wanted to go my own way in crafts class and he never said no, he just helped me when I needed it. I use what he taught me all the time to this day when working on some project. Bio: Went to American River JC then Sac State. Majored in Finance with a minor in Economics. Moved to LA to job search after college. Moved back to Sac shortly thereafter. Started with Campbells and the Kings about the same time, summer of 1986. Married my wife Rosanna in 1990. Trivia: I am the official scorekeeper and crew chief for the Sacramento Kings(NBA), Monarchs(WNBA), and Knights(indoor soccer). I also am a statistician for the Oakland Raiders. Friends: One regret I have is that I didn't have a close friendship with anybody. Sure, I played sports and was friends with just about everyone, but I didn't have the type of friendships that carried on to college or later in life where you stay in frequent contact. I still run into a few people at Kings games from time to time. So, if your ever at a game, come down and say hello! I sit at the scorer's table, center court. Hobbies: I now play basketball and softball on a regular basis. I use to be a big time golfer, played in college and local tournaments. Won the 1986 Ancil Hoffman club championship. That's my only claim to fame! Love music. Enjoy old rock, but have been really into alternative the past 7-8 years. I've also played the guitar for about 15 years. Junior_high_friends: Same. Plus a bunch who ended up at Rio Americano. Bio: Went to UC Santa Cruz...graduated and then worked for Pacific Bell in technology. Married Toni, moved to Texas and became President of a company...got bored with what I was doing and decided to pursue my real love, emerging technology. Got a job running an internet site. That's fun for me. Friends: Mark Oldfield and Greg Fox were my best friends at Encina. I haven't seen either of them for about fifteen years. Hobbies: Love learning new things, particularly on the computer. Also enjoy watching my kids play sports and grow. Kids: Jake, my son, is a blackbelt and fought the world champion. Valen, my daughter is happy and well adjusted and gets along great with little kids. Grade_school: Sierra Elementary, Downtown Sac. Bio: After graduation, I briefly attended ARC. I spent a summer in Europe. I worked at Grodins for 10 years. I got married and moved to Pleasanton. I lived in Pleasanton for 7 years. My husband's job transfer brought us to Delaware and we have lived in here for almost 7 years. Friends: Some of the friends that I had at Encina were, Barbra Derum, Kim Lawson, Leslie Woodard, Suzanna Mohr (We met up with each other in Greece!) Mary and Martha Mimms, Deanna Bradish, Karie Amorena. I only lived in Sacramento for part of my sophmore and junior and senior years, so I didn't have any 'childhood' friends at Encina. I moved to Sacramento from Turkey and was slow to make friends. I enjoyed my time there. Hobbies: Gardening , birdwatching and parenting. Not necessarily in that order. Kids: I have two sons. Matt is 16 and plays in the marching band, and Ian is almost 12 and plays in concert band. They are both great kids. They haven't given me that same headaches that I gave my parents! Favorite_teachers: At Encina I had a few favorite teachers. I really enjoyed Mrs Leafe, Mr Derderian, and Mrs Beale. I am married now with two kids: Meghan is 14 and Kyle is 11. We live about 10 miles from Mount Rushmore in the middle of the Black Hills in Hill City, South Dakota. I think what you are doing is great! There are a lot of kids I wish I would have kept in touch with. My home address is 11719 Deerfield Rd, Hill City, S.D. 57745. e-mail address is munchkinland5@juno.com . Would love to talk to any of my old friends or any one that remembers me. This is too cool! Bio: Graduted in 1978. Spent one year at American River J.C. where I was put on "academic probation"!! After that I entered the U.S. Navy. During this time I married Nikki Nicholas who I met at A.R. She graduated from Davis High School in '78. Got out of the Navy, went to work for the University of California, Davis, where I continue to work. Oh yeah, I STILL can be found on the warm summer days laying along the American River drinking bottles of ICE COLD BEER!! Somethings just don't change!! Hobbies: My kids, my running, my music!!! Kids: Oh sure, HOW you tell me this!!! I already did!!!! See, I never did learn from my teachers who said READ ALL THE INSTRUCTIONS FIRST!!!!! Bio: Served four years in the Air Force (1978-1982). Lived in Italy for 1 1/2 years. Presently work at FedEx as a tractor-trailer driver. Kids: I have two boys (Derrick 14) and (Brandon 11). Derrick is a big kid, almost 6' and loves football and basketball, thankfully he's better at them than I ever was. Brandon is just the opposite, very little for his age and is cognitively disabled. I'll tell you what tho, you can learn more from children like that than you could ever imagine! They have more love for people, and more kindness in their hearts than anyone I have ever seen!